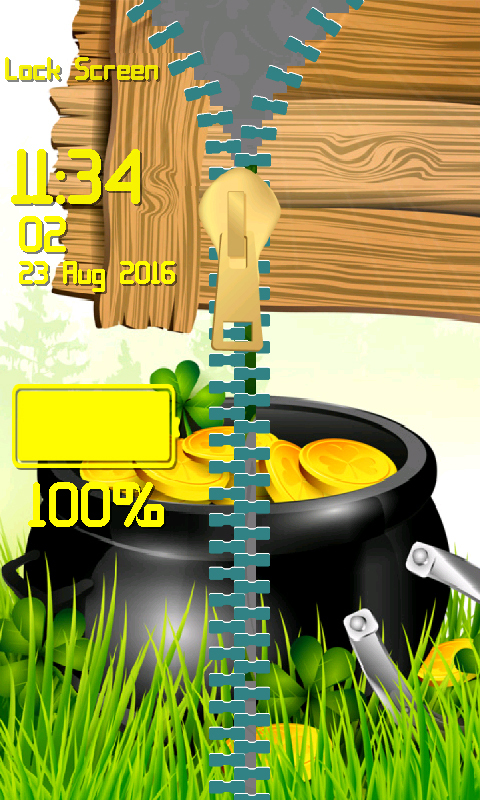 Find a pot of gold coins which leprechauns have hid. The legend says that a rainbow comes out of that cauldron, so all you need to do is follow it to its root. 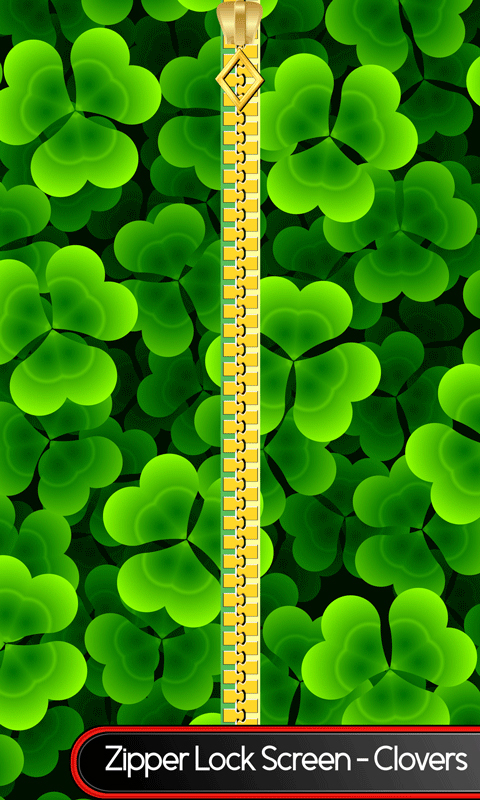 Download for free the newest Zipper Lock Screen – Clovers app, and you will get a stroke of luck. Get in a festive atmosphere for celebrating the Saint Patrick’s day and put on the cute leprechaun’s hat. Joyful mood will come all over you, and you will cheer up immediately. With the cool zipper unlock for screen you are able to choose the shape of the hook. 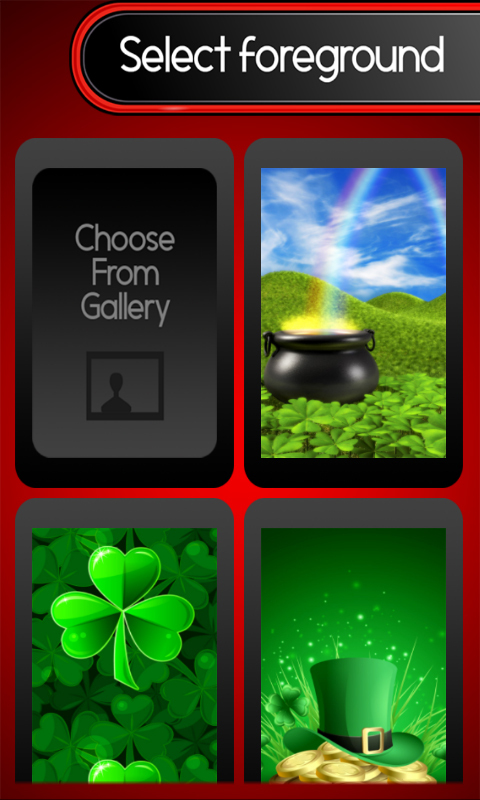 Browse between a lightning sign, a blue heart as well as many more and find the one that goes best with your top photos. 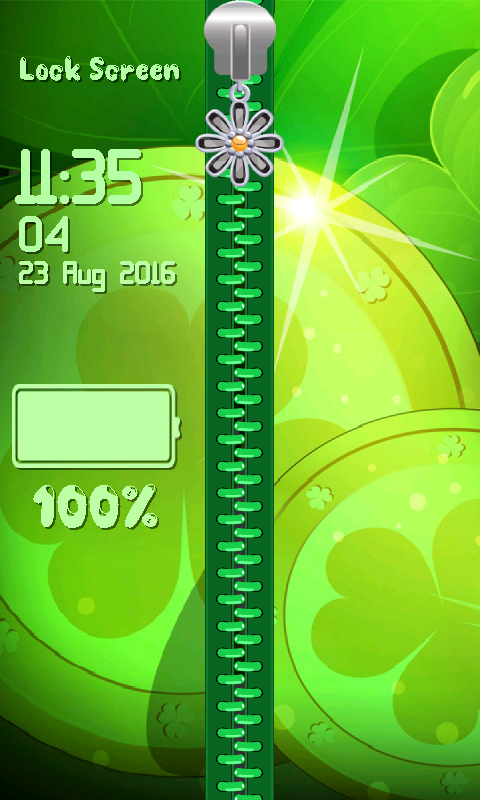 Have gorgeous shamrock for good fortune on your smartphone or tablet with the magnificent Zipper Lock Screen – Clovers. You don’t have to worry anymore about forgetting to recharge your phone. 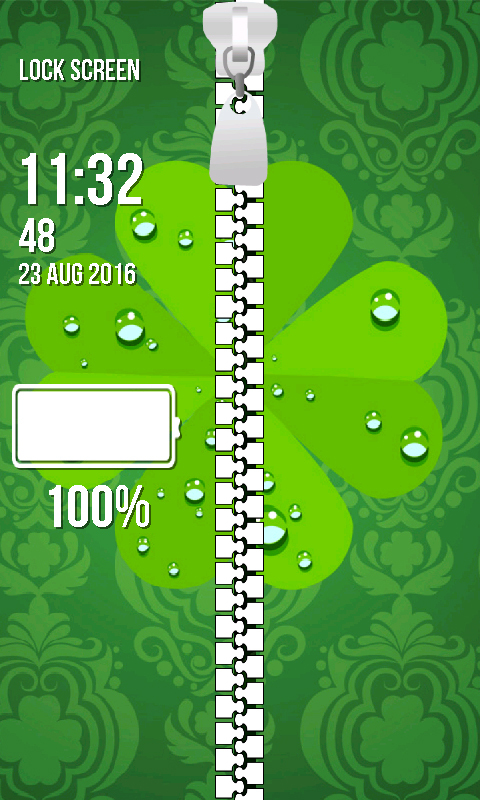 The Zipper Lock Screen – Clovers is offering you the chance to select the font and color for the battery reminder.